From Miracle Maternity a very stylish jacket for use before, during and after pregnancy. 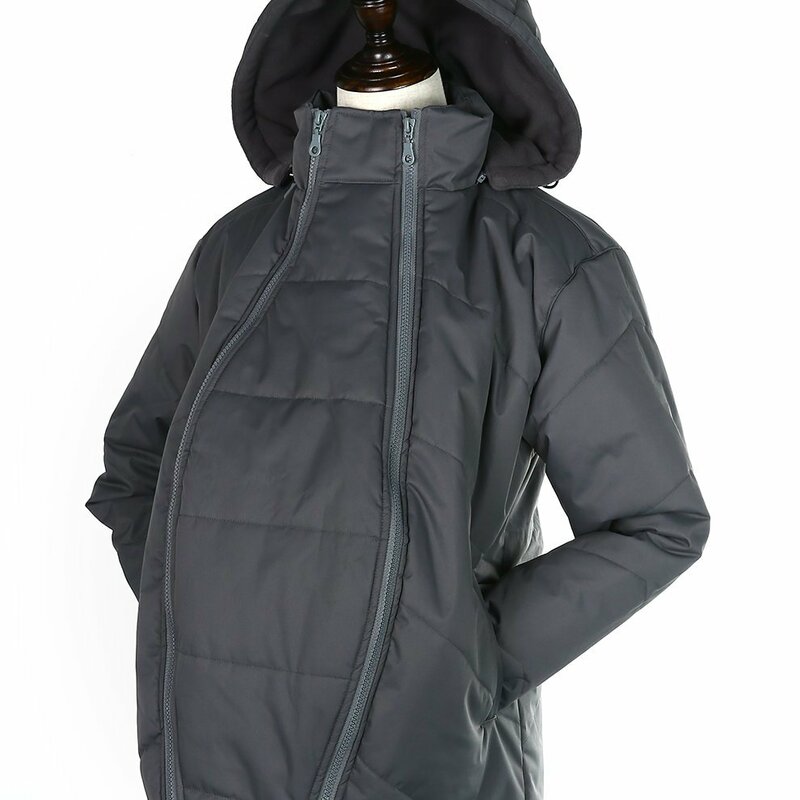 By zipping in the pregnancy panel during pregnancy and the baby panel after pregnancy you have a very practical and stylish 3 in 1 maternity coat. 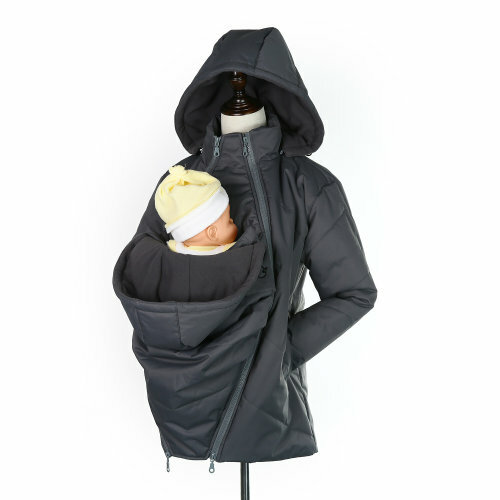 Even when baby is no long being carried you still have practical and stylish padded jacket. At Miracle Maternity we use only the best quality fabrics and design in our clothing range to make sure mum and baby are happy. 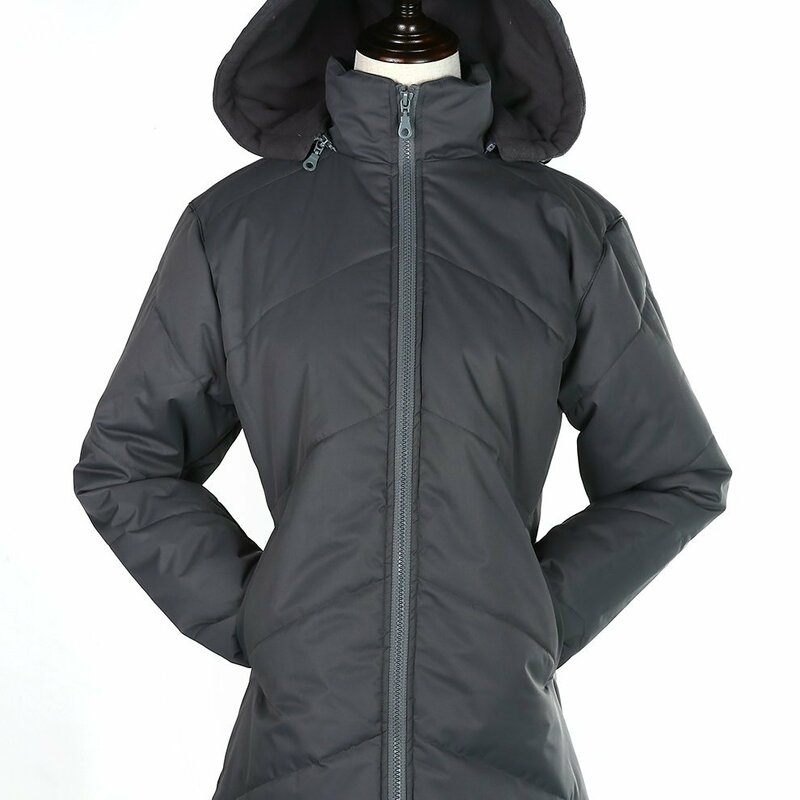 This padded jacket is the perfect outdoor jacket for all weathers. With removable panels to be used during pregnancy, when carrying your baby and later on as a normal casual jacket. The jacket's water repellent material keeps both mum and baby dry during any unexpected rain shower while the fleece lining makes sure you both stay warm and snugly together. The extra thick padded insulation makes going out with baby easy and comfort even in those cold winters. Adjustable cords both at baby's and mum's hood. The hems add to its wind protection and good size internal pocket for keys /phone with deep pockets at sides. A quality product which would make a good gift for birth or baby shower. 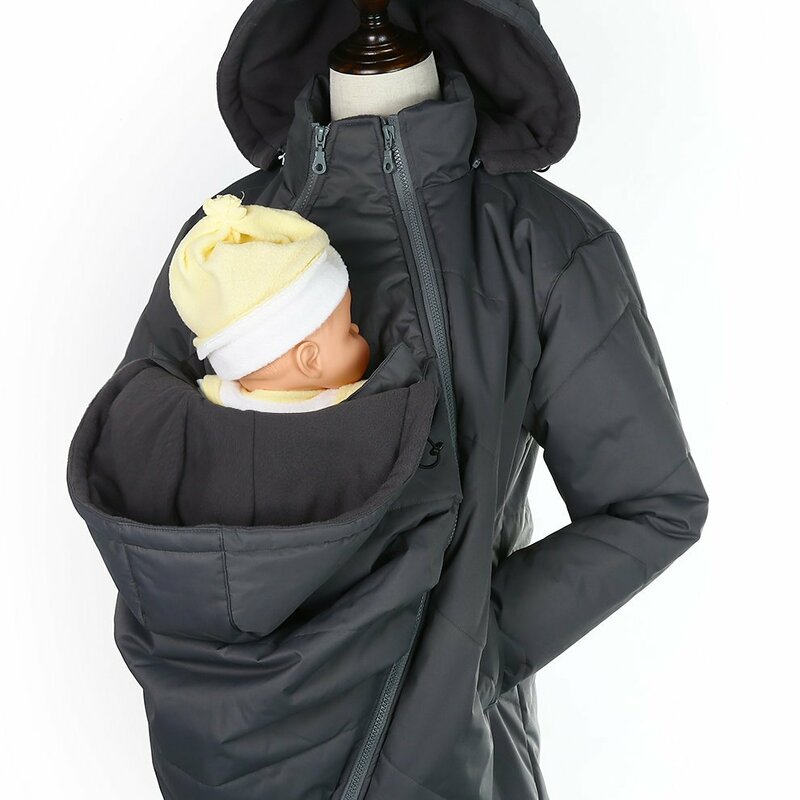 The jacket does not replace a baby carrier. A sling or other baby carrier is necessary to carry your baby. Green Haven Have a question?